Welcome to a world where ambitions fly high. From experienced pilots to dynamic professionals embarking on new careers, Qatar Airways is searching for talented individuals to join our award-winning team. We take pride in our people&mdash;a dynamic and culturally diverse workforce is essential to why we are one of the finest and fastest growing airlines in the world. We offer competitive compensation and benefit packages. 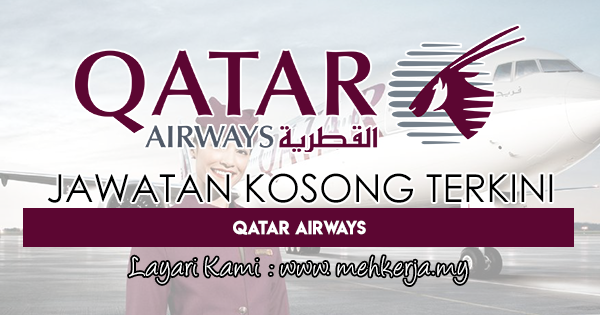 0 Response to "Jawatan Kosong Terkini di Qatar Airways - 25 Aug 2018"